Want it by Wednesday 24th April? Order within 2 days, 7 hours, 53 minutes and choose Next Working Day - Kerbside Delivery (Order Must be Placed by 2pm) at checkout. The Premier Select Kenya Maple is a 10mm thick board with a gloss finish. 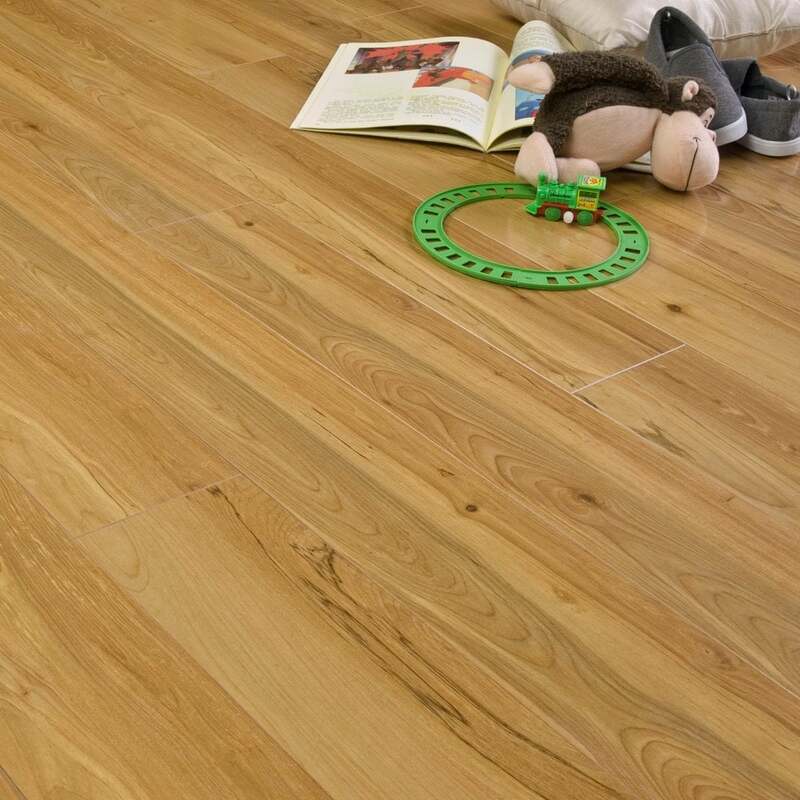 Each board of this luxurious flooring comes 1215mm in length and 125mm in width. Each individual plank comes complete with a 4-sided milled beveled edge, which gives the product a more natural look. Meaning the difference between this maple laminate and that of a solid maple floor is even more difficult to identify. This narrow 125mm wide board would be beneficial in smaller areas as it will help give an illusion of a bigger space. The light tones throughout that board will help create calmness in the room and make it a great choice for a modern interior. With its glue-less click system, installing a floor has never been so easy, and with a residential warranty of 15 years, you can have peace of mind that this will be in your home for many years to come! Why not request your FREE sample today?